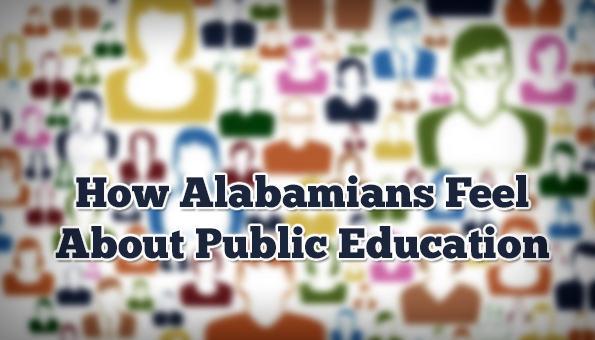 How do Alabamians feel about public education? Depends on which question you ask, it seems. The Public Affairs Research Council of Alabama (PARCA) has released the results of their annual public survey last week. Topics include taxes and public education and public priorities. The full 2016 survey results can be found at the end of this article, but here are a few highlights. All images are of slides created by PARCA. 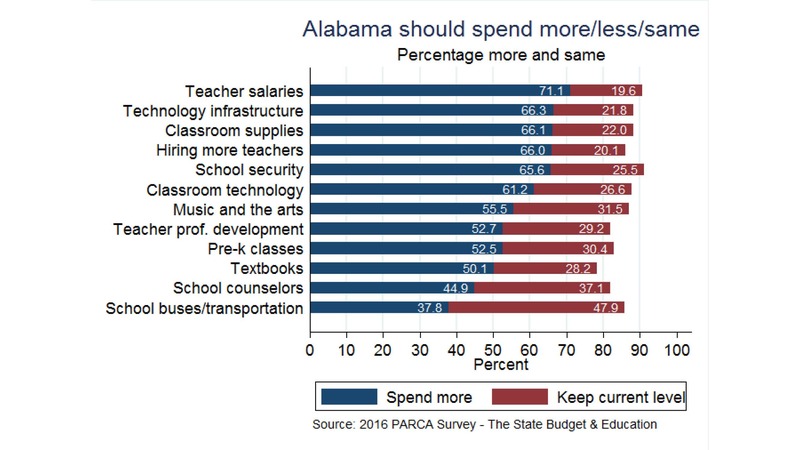 While it is clear that Alabamians say education is the top priority and that public schools are underfunded, the rest of the picture gets a bit murky. 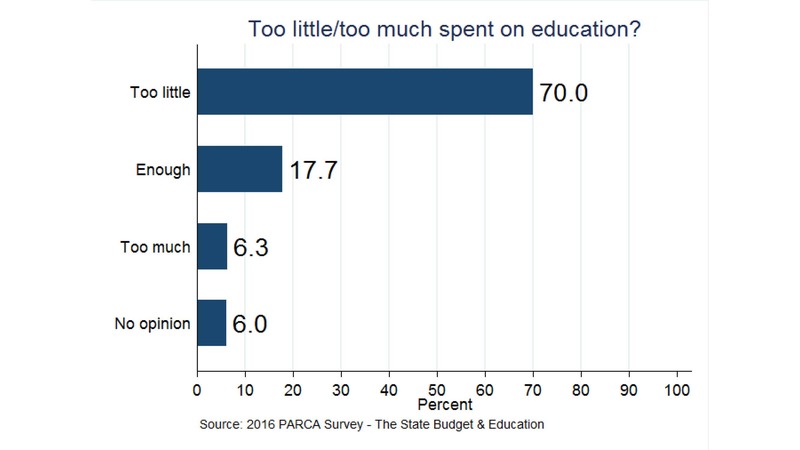 For example, while the majority of folks surveyed said too little is spent on education (70%), nearly the same percentage of folks said they don’t believe money is being spent properly (65.2%). So what does that mean? How can folks say there’s not enough money for education while at the same time saying that the money isn’t being spent properly? PARCA’s Tom Spencer shares his thoughts in the accompanying video. 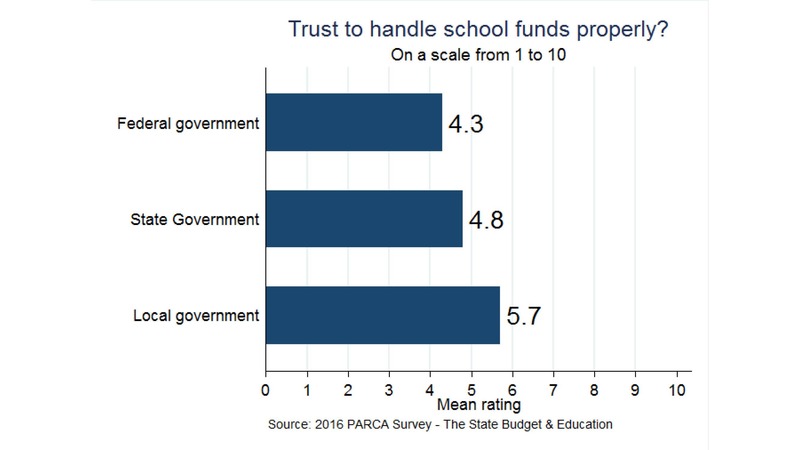 Spencer shared that in a previous survey (2014), PARCA asked a follow up question to find out in what areas folks thought money wasn’t being spent properly. So folks had a lot of examples of how money was being spent improperly. 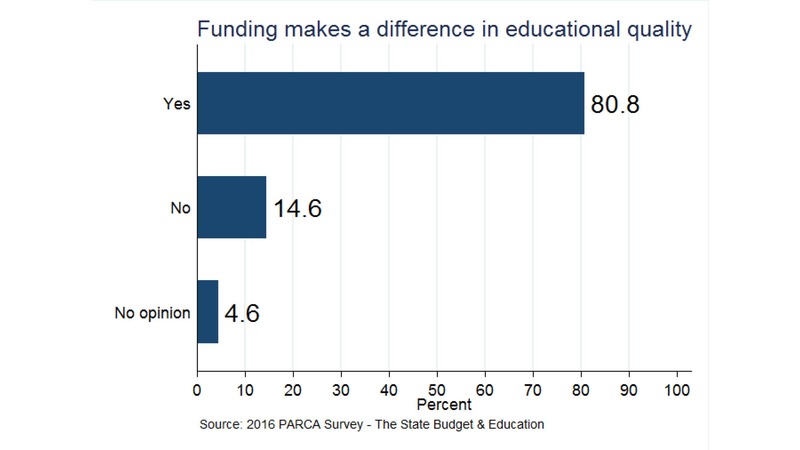 But how does the public know how the public’s money is actually spent on public education? Once a year, boards of education vote to approve school budgets. Two public budget hearings are held. A presentation is typically made. But those budgets are only planning tools. Once a month, school officials post a few financial statements that are huge, aggregated categories that tell the public basically nothing. School districts are required to post monthly check registers of money spent at the district level but those registers are cumbersome and difficult to search. And because only one month of check registers are posted at a time (and most districts delete the previous month’s register when a new one is posted), spotting trends and concerns is very difficult. 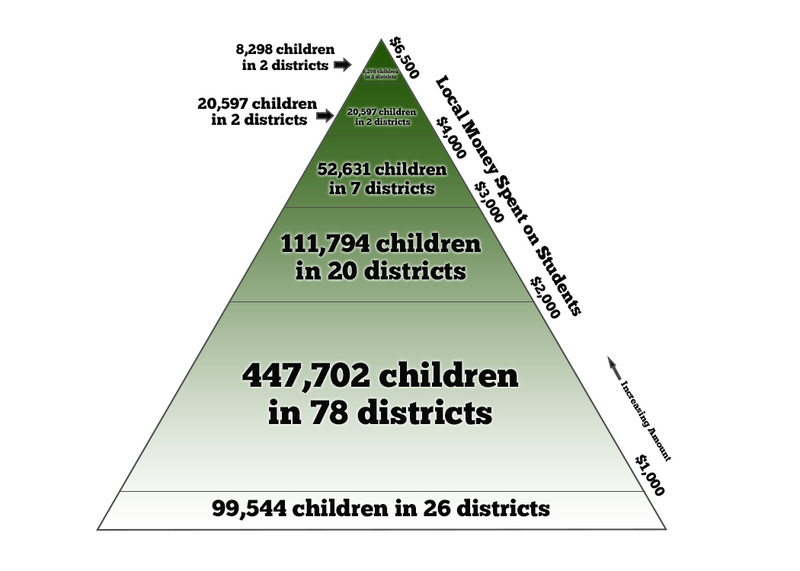 While you can find a bit of information about district-level spending, school-level spending is completely opaque. Sure, you can request the documents via the Alabama Open Records Act, but because there is no statutory and mandatory time limit to respond to an Open Records Request, you can wait…forever. And if the district never responds, your only choice is to hire an attorney and threaten a lawsuit. Many school districts now use purchasing cards, which makes it even more difficult for the public to know how money is spent. Check registers often reflect a payment to “Visa” or to a bank, but details of those transactions aren’t provided in detail. When I requested three years of payroll records from Hoover City Schools in 2013, it took more than 15 months to receive those records. It also took a battle between attorneys, and ultimately a taxpayer-paid-for Attorney General opinion confirming decades of past opinions that those records were, in fact, public. In January 2015, Alabama school districts refused a request for spending records from a national accountability watchdog group. The Education Action Group (EAG) said that responses from Alabama school districts were the “worst” they encountered of all 50 states. 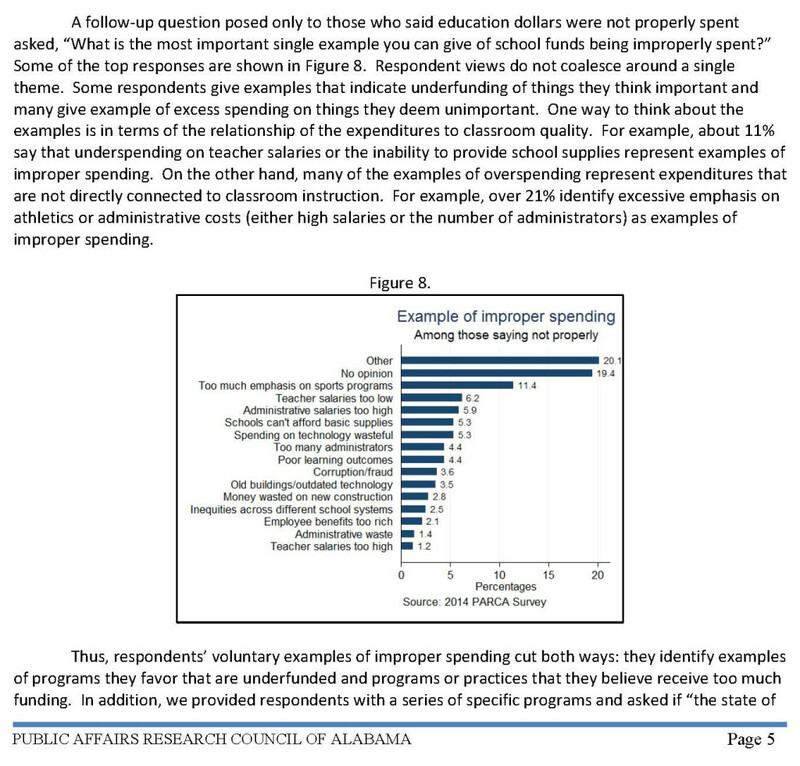 So maybe Alabamians might feel differently about how public education uses public dollars if they knew more about how it was being spent. Alabamians level of trust for who is spending those dollars is higher for locals, but not very high overall. Particularly given it’s a 10-point scale. 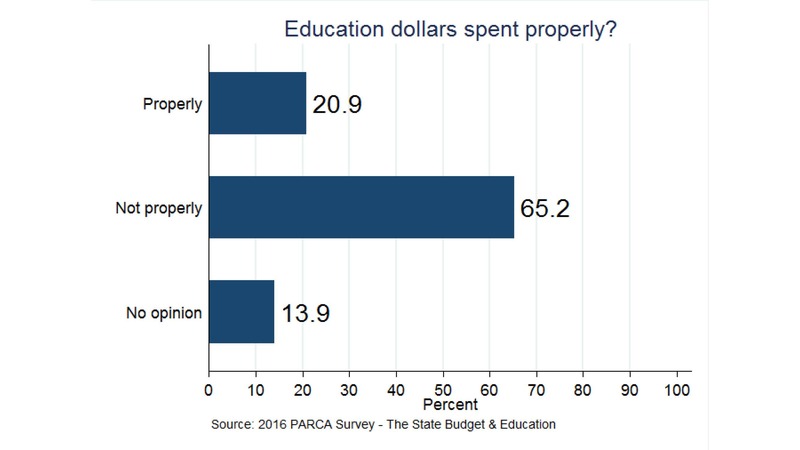 And here’s where Alabamians thought those education dollars should be spent. What’s unclear is whether Alabamians actually know how much money is being spent in those areas. But then again, how would we know (see previous discussion about opacity in education spending reporting)? 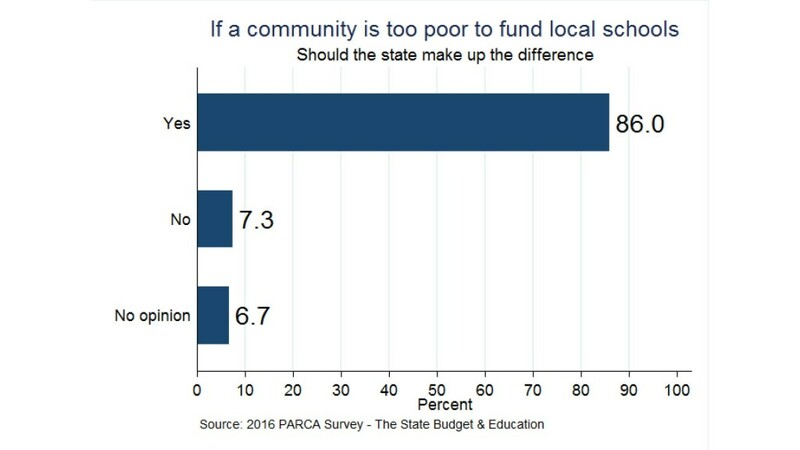 And while it’s clear that Alabamians believe that the level of school funding makes a difference in the quality of education (81% agreed with that statement), and that a higher percentage of folks agreed that the state should make up the difference if a community is too poor to fund local schools adequately (86%), when told that the “lowest funded system in 2015 was about $1500 per student below the state average”, only 65% said that funding gap was too big. Here’s another way to look at that funding gap. And here’s the article that accompanied this graphic. 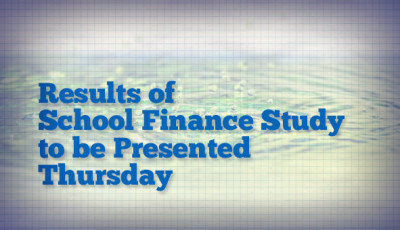 The State Board of Education heard the results of a school finance study last September. 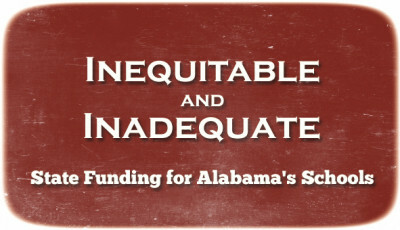 The bottom line was that the Foundation Program (the formula used to divvy up state funding for Alabama’s public schools) and the reliance that communities have upon local funding has resulted in massive inequity and barely adequate funding for Alabama’s public schools. 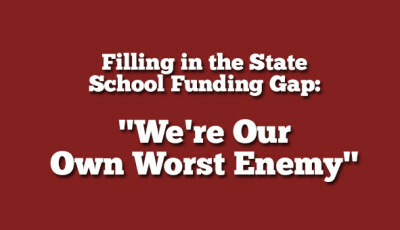 Let’s not forget that State Superintendent Dr. Tommy Bice is still working to get the Foundation Program fully funded. 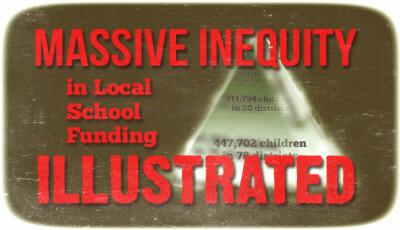 So not only is the formula inequitable, but the legislature doesn’t even fully fund it. Nearly half of those surveyed said Alabama’s public schools were worse than most other states. Though not exactly the same measure, it nonetheless parallels Gallup poll results from last August showing that 54% of Americans are dissatisfied “with the quality of education students in Kindergarten through 12th grade in the United States receive today”. 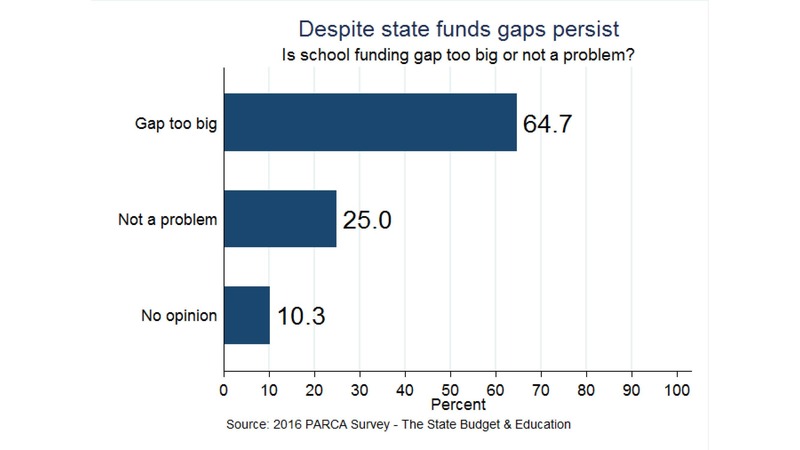 Alabama is not alone in its struggle to determine what type of publicly-funded education is appropriate. 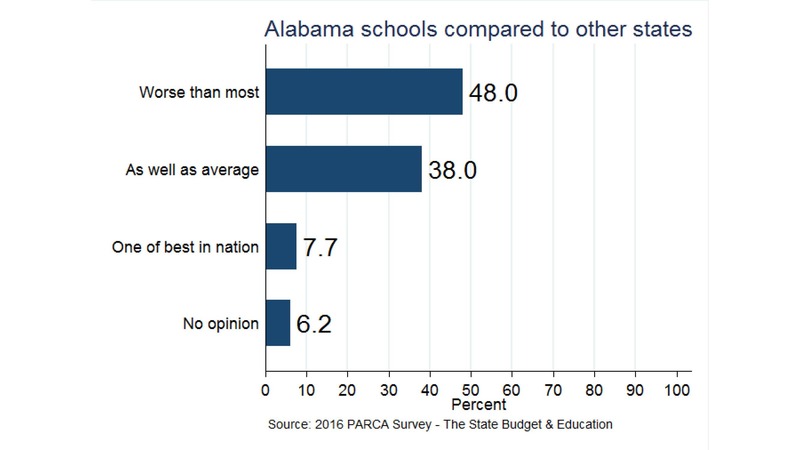 But given that our state lawmakers begin the 2016 Regular Session on Tuesday, this survey gives a good look at how Alabamians feel about public education. Here are all of PARCA’s slides. Make sure to read their post on the survey, as it contains the full survey.